It has been really really cold for December in California. Yes, yes, I hear your sighs and eyerolls my east coast friends, but 45 degrees F and rain in San Francisco feels like stay-inside-and-hide weather. I’ve been making some soups to help with the cold weather and the crazy colds that seem to be going around. 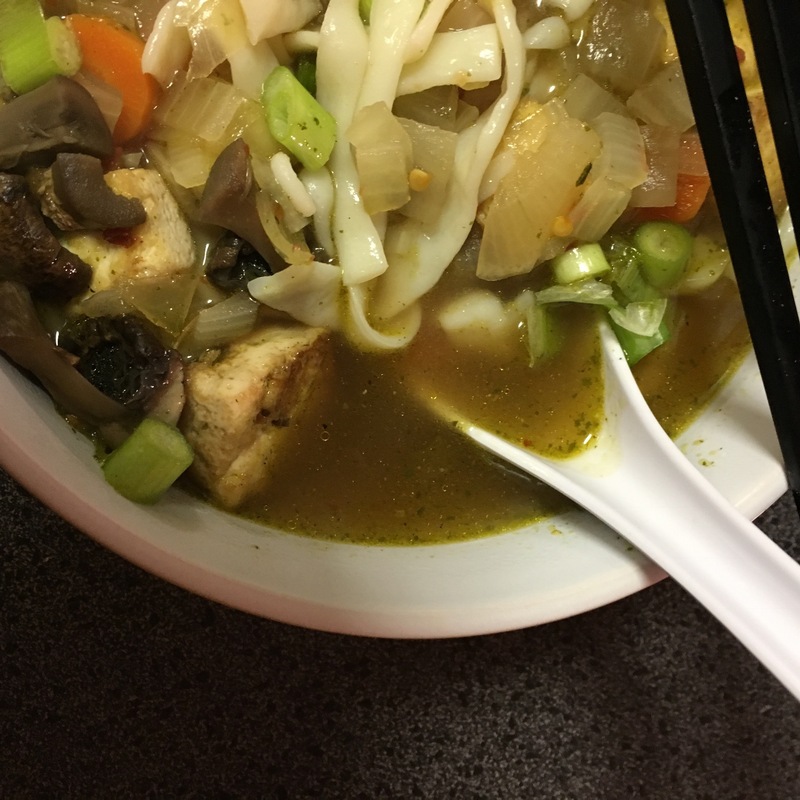 There are a decent number of ingredients, but honestly, this soup is really easy to follow. Try it and stay warm out there friends!! 1. In a pot, saute the onions. Add in garlic, ginger, water, and broth and allow to simmer for 20 minutes. 2. 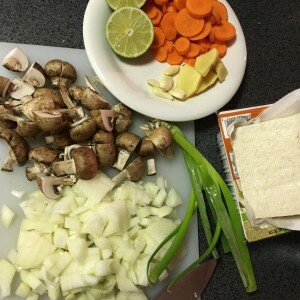 In a separate skillet, brown the cubes of tofu and set aside. 3. After ginger flavor is well developed, add in carrots and mushrooms. Add in soy sauce, chili garlic sauce, and sesame oil. 4. 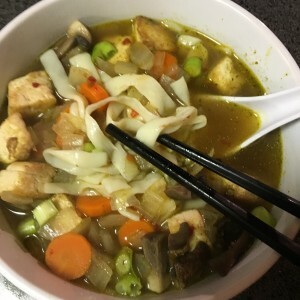 Cook ramen to pack instructions. I buy the refrigerated variety that just needs to be rinsed off. 5. 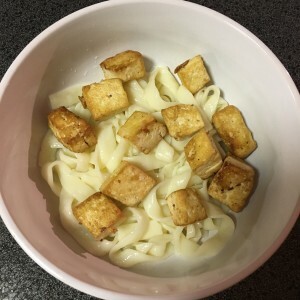 In a bowl, portion noodles and tofu. Cover with broth until full and top with sliced green onions and lime juice. Enjoy! !